This rendition of Dallas dining news is filled with the joys of summer: summer menus, refreshing cocktails, and boozy shakes. Rio Mambo, which is sort of Tarrant County's version of Mi Cocina, closed its only Dallas-area location in Addison. Located on the corner of Belt Line and Runyon, it opened in October 2015. The other Mambo locations are in southwest Fort Worth, north and south Arlington, Addison, Colleyville and Weatherford. Meccha Matcha, a tea shop "obsessed" with matcha green tea, has opened in Plano, at 2001 Coit Rd., with matcha-infused items that include lattes, shaved ice, soft serve ice cream, floats, lattes, and smoothies. They also do parfaits which you can layer with granola, whipped cream, matcha jelly, mochi balls, and matcha chocolate. Rush Bowls has signed three leases to bring its meals-in-a-bowl with fruit, vegetables, granola, proteins, and other ingredients. Opening in summer 2018 are Dallas at 5331 E. Mockingbird Ln., and Flower Mound at 2400 Lakeside Pkwy. A Keller location will open at 242 Rufe Snow Dr. in the fall. Creamistry, the California-based chain specializing in liquid nitrogen ice cream, will open in The Colony at 5733 SH 121 on July 2, with a grand opening celebration on July 7. Creamistry also has limited-edition flavors that include honeycomb toffee, lemon cookie, and oranges 'n' cream. Cedars Socíal has added a taqueria concept open Monday-Friday from 11 am-3 pm. 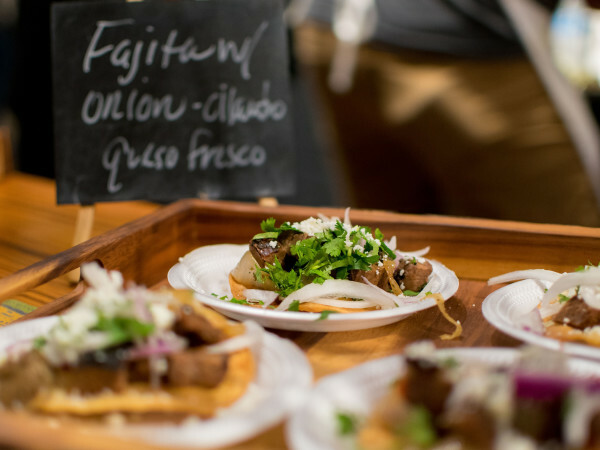 Tacos feature ingredients such as pork belly, redfish, and lengua, along with elotes, chicharron nachos, quesadillas, and what owner Monica Greene calls very large tortas. Snooze an A.M. Eatery has a new summer menu with what a release calls "a peppy new pancake," a new benedict, and four cocktails. Starburst Pancake has a buttermilk lemon poppyseed pancake topped with lemon anglaise, blackberries, citrus mascarpone, and toasted almonds. Smashed avocado benny has an English muffin topped with avocado, green chili, parmesan cheese, tomatoes, poached eggs, and smoked cheddar hollandaise. Cocktails include a sparkling strawberry mimosa, and a strawberry margarita with jalapeño-infused tequila and strawberry-jalapeño puree. Pinstack, the dining-entertainment destination, has new monthly specials for July including watermelon-BBQ chicken wings, tomato and white bean soup, the Impossible plant-based burger, and a surf-and-turf with flat iron steak, shrimp, goat cheese-mashed potatoes, and asparagus. Tommy Bahama Restaurant & Bar has new menu items including shrimp and grits, mojo chicken with charred sour oranges and andouille sausage, miso-glazed salmon with shiitake mushrooms, mahi mahi with a crispy furikake rice cake, and ceviche with snapper or halibut. Omni Dallas Hotel is focusing on mango for the summer in cocktails and dishes. A spicy mango margarita has a spicy mango infused syrup. Mango Paloma combines tequila with mango and grapefruit juice. Mango hummus has smoked jalapeño dressing, smoked paprika, and charred mango cubes. 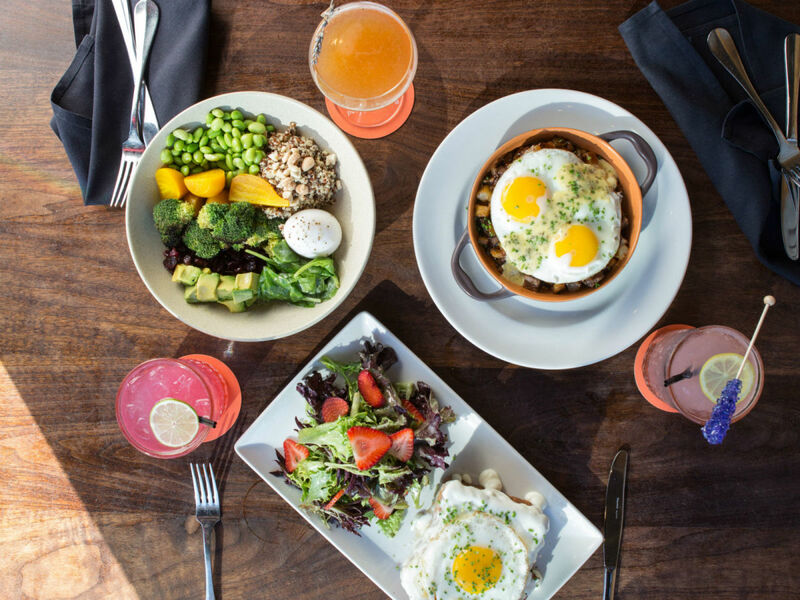 Bowen House has a summer menu with loads of elaborate drinks and new dishes that include the avocado elote toast with grilled corn; a cold grain salad bowl with grains, carrots, radish, and peas; ginger-pork empanadas; and Mom's Russian salad with English peas and pickles. A new summer wine menu includes some great selections such as La Luca Prosecco, Moet Imperial Brut, Whitehaven Sauvignon Blanc, AIX Rose, and Meiomi Pinot Noir. Yogurtland has three new flavors including their first ever light ice cream, for a limited time: Butter Pecan light ice cream, blue raspberry sorbet flavored with Jolly Rancher, and Cookies and Crème Smores frozen yogurt. Da Mario in Frisco is now offering an "espresso lunch" for those short on time. It's a three-course menu for $25 with choice of salad, entree, and dessert including kale salad, Caesar, pizza, pasta, chicken, gelato, and sorbet. Thirsty Lion Gastropub & Grill at Toyota Music Factory has new items on its brunch menu including berry waffle, spicy fried chicken and waffles, Greek yogurt chia bowl, salmon cake benedict, and avocado toast. Ocean Prime Dallas is offering a pre-theatre menu Monday-Friday from 4-6 pm for $55. You get soup or salad, a surf option (shrimp scampi, crab cake, or sea scallops) with an 8-ounce filet, and a savory side dish, plus a bag of truffle popcorn to go. Options include French onion soup, house or Caesar salad, and sides such as broccoli, corn, creamed spinach, jalapeño au gratin, whipped potatoes, and truffle mac and cheese. Cow Tipping Creamery has launched a "boozy shake" collaboration with Cane Rosso, which combines Cow Tipping Creamery's soft serve and toppings with Cane Rosso's cocktails. Piña cow-lada has blue curacao, pineapple juice, rum, whipped cream, and gold sprinkles; cookie shake has rum, Kahlua, Bailey's Irish Cream, whipped cream, and cookie butter drizzle. They're $12. Starbucks has a new mango-dragonfruit refresher drink, with pieces of real red-fleshed dragon fruit. You can get it in a creamier version with coconut milk instead of water.